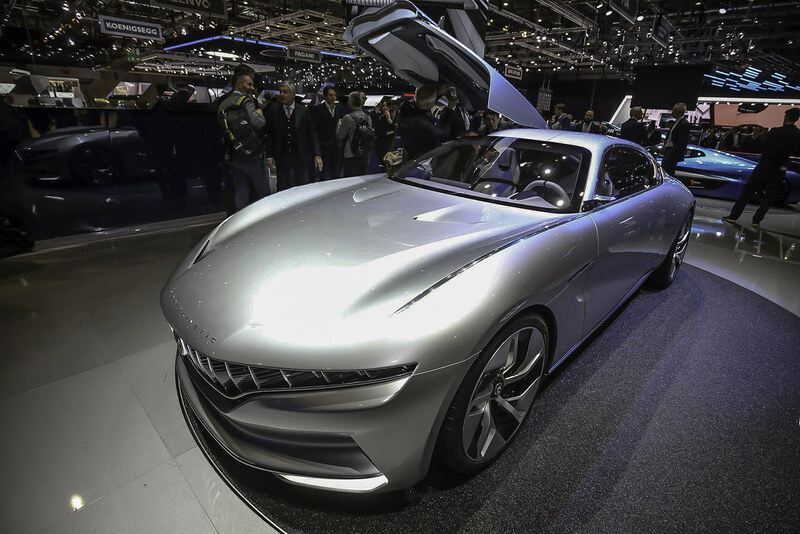 With the HK GT, Pininfarina interprets a classic architecture of the Italian automobile school,the Gran Turismo, while continuing to refine the identity and the formal language of the Hybrid Kinetic brand. Crowning this game of colors and materials is a very important detail for the HK brand: the new “HK texture”, symbolic of the brand’s premium positioning. It starts from the rear seats and slopes down to reach the door panels, like the leaves of an ivy that climbs elegantly down a wall. 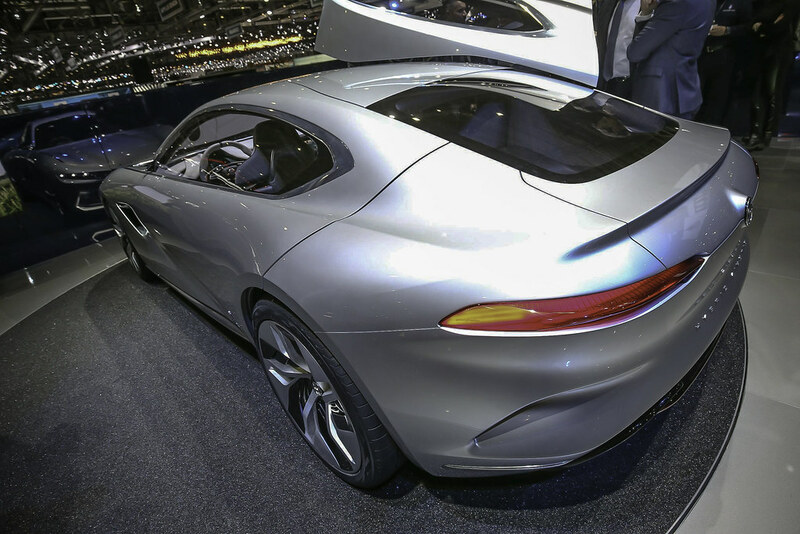 But the HK GT is a car with a dual personality – race and Gran Turismo – and it is precisely to underline this double soul of the car that the interior offers two different modes of experience: “race”, for moments of solitary and hedonistic sports driving, and “cruise” for great routes to be shared with the family. 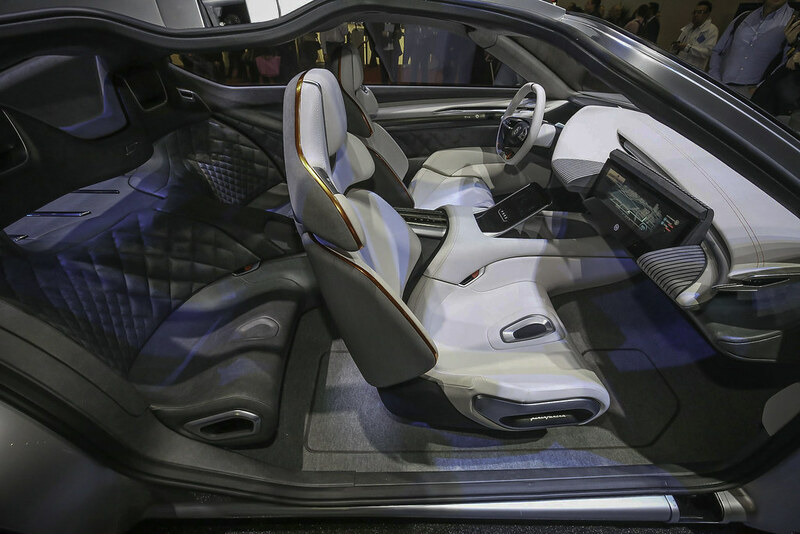 In the “cruise” mode, however, the interior is washed in blue and offers a more comfortable mobility solution, with information sharing between all the passengers of the car. 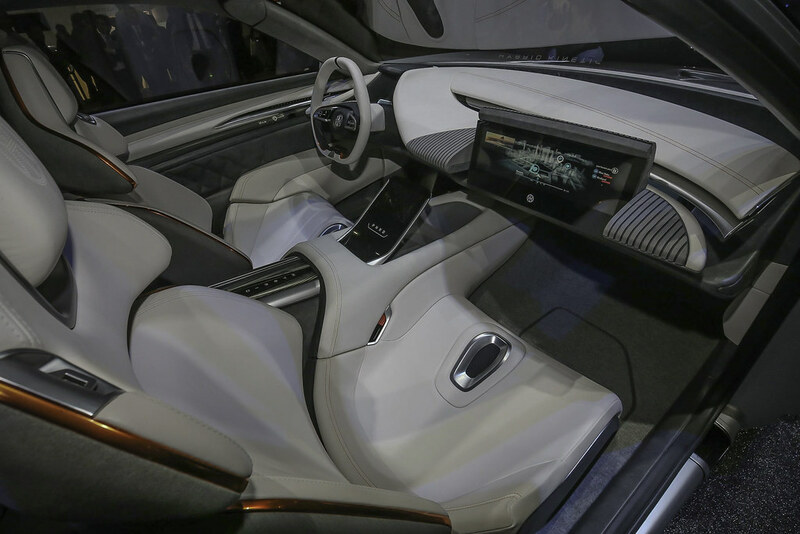 On the dashboard, in front of the passenger, a large touch screen appears with access to connectivity (navigation, e-mail) and entertainment (film, music…), while the door panels are animated thanks to a long interactive screen, which allows the circulation and exchange of information between the front and rear seats. 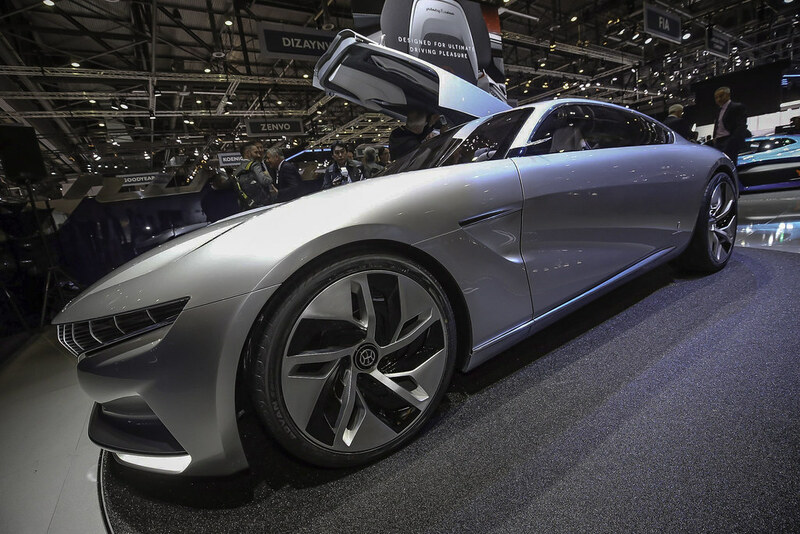 The screen on the tunnel (central setting display) now allows passengers to configure the environment of the car (such as air conditioning – air quality), and becomes functional even for the rear seats. 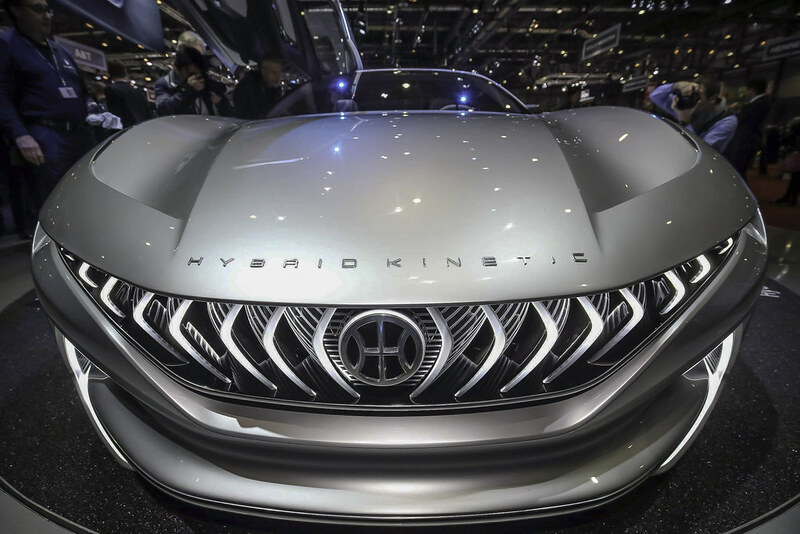 The HK GT concept car embodies an additional piece of the Hybrid Kinetic range with elegance and avant-gardism. It is a perfect combination of pure design and environment conscious technology, displaying a formal balance between refinement, sportiness and up to-the-minute aesthetics that exemplifies the concept of exclusivity.